Pool Cleaning Service and Repair Tips on How to Keep Your Pool Sparkly! Owning a pool offers countless opportunities for relaxing, cooling off, and having a blast splashing around. Unfortunately, if not properly cared for, pools can take on a dingy, green hue that is not only uninviting but also unhealthy. Luckily, with the right tips and cleaning knowledge along with frequent care, your pool can stay sparkly, clear, and in pristine condition at all times. Although splashing around with your family dog and playing together in the pool might be fun, it is not the best choice in terms of pool health. Having a dog join you in the pool will cause the water to get dirtier faster. The filter will also be required to work extra hard to keep up with the excess hair in the water. In addition to the harm it will cause your pool, the high chlorine content of the water can also be detrimental to your dog’s skin. Certain substances, such as sunscreen or lotions, can dissolve in the water and contribute to a dirty pool. Although it may sound odd, tossing a tennis ball into your pool – and even leaving it there at all times – can absorb some of the oils and unwanted additives that end up in the water. Maintaining the appropriate level of chemicals helps discourage bacteria growth and prevent the water from becoming murky. Aim to test the water once a week with a testing kit from your local pool cleaning service. Chemical levels to consider include: Cyanuric Acid – 30 to 50, free Chlorine 1-3, acidity/alkalinity (ph level) – between 7.5 and 7.8, total alkalinity – 60-120, calcium hardness – 400 to 600. A cost-effective, easy way to help maintain your pool’s ph level is baking soda. The amount you need will depend on the size of your pool but a simple search on google can help you determine the appropriate amount. 5. Do I Need To Use a Pool Cleaning Service Near Me? At least once a year, whether you need it or not, contact your local pool water cleaning service for a thorough pool check up. 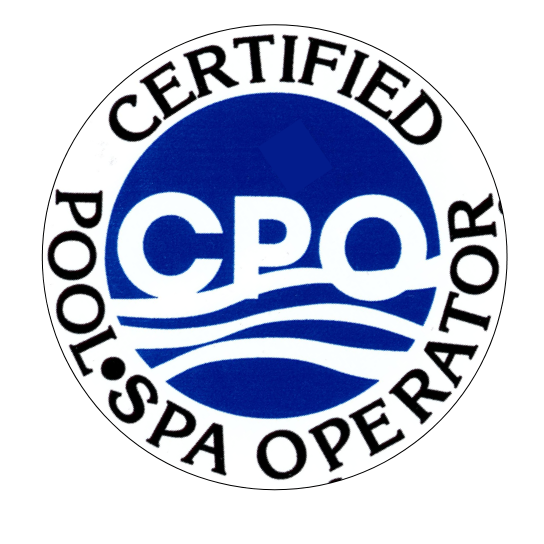 Pool cleaning services are specially trained and highly knowledgeable professionals that can aid you in keeping your pool as healthy and clear as possible. Pool cleaning service cost is usually quite reasonable and worth the expense of keeping your pool water glistening. Additionally, a pool cleaning service can discover issues that you may have missed. It is crucial to monitor the water level of the pool. Although it is typical to experience fluctuations due to heavy splashing, rain, and other factors such as evaporation, an unusually low level can indicate a leak or other issue. Be sure to maintain a monitoring system for your water or aim to keep the water level approximately halfway up the skimmer. If needed, add more water to the pool with a hose or decrease the water with a pump. After changing the water levels, recheck the chemical levels. Although it should not be done too often, shocking the water – significantly increasing the chlorine levels for a short amount of time – can effectively kill off any bacteria that has been growing. Once a week, clear the filter basket of any debris, empty all strainers and leaf traps. About once every 3 or 4 months, disassemble and inspect the filter, then proceed to clean cartridges or D.E. elements, lubricate parts as needed. Aim to Brush the water and tile line about once a week. This area tends to get collect dirt so keeping it clean will automatically reduce the amount of dirt that gets washed back into the pool. Skim the surface on a regular basis (aim for at least every few days) is a simple way to reduce the workload of your filter and lower the amount of chlorine required. All in all, it is possible to maintain your pool and keep it clean and clear with minimal hassle by utilizing the tips above and seeking out your local pool cleaning service for assistance as needed.